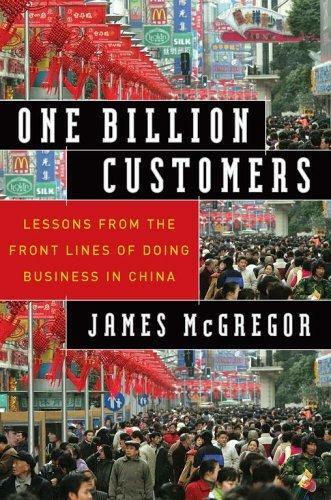 James McGregor is well known and respected in Chinese business, political, and media circles. A Mandarin speaker, he has served as a key adviser to both the U.S. and Chinese governments. As the chief executive of Dow Jones' China business operations during much of the roaring 1990s, and a venture-capital investor during China's dotcom boom, McGregor has negotiated every avenue of the labyrinth that is business in China. He is also a former chairman and a decade-long governor of the American Chamber of Commerce in China. He is a senior counselor for APCO Worldwide, and is member of the Council on Foreign Relations; National Committee on US-China Relations; International Council of the Asia Society; and serves on a variety of China-related advisory boards. He and his family live in Beijing. ①看上去邓小平几乎就是照搬了哈佛商学院的扭转业务来制定计划。以下仅仅是小部分。 **建立紧迫感**：这在文化大革命后是容易做到的。共产党必须有所改变，否则就将失去权力。 **组成强有力的指导班子**：邓小平任命了一批务实的改革分子，但是也给长征留下来的老干部们保留了刹车制动的权力。 **规划远景**：邓小平为这个国家定下了从1980年到2000年人均国民生产总值翻两番的目标，这个目标提前4年完成。 **远景宣灌**：国有新闻..